To continue investigating a climate change survey of farmers at the Intervale, Maggie Donin from the Intervale Center highlights the production changes which farmers have reported they’ve made in response to extreme weather and climate change. These include planting and tillage practices as well as some infrastructure improvements and site location decisions. So far, the most successful strategies have been growing on less flood prone land, building high tunnels and greenhouses, and having a diversity of markets and production so that one event doesn’t affect everything on your farm. Overall, this survey demonstrated that farmers clearly understand that there are many risks facing their farms each season, not just extreme weather. 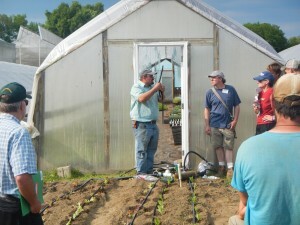 The Intervale farmers have decided that the benefits outweigh the risks. Regardless of their location, weather related challenges will always pose risks for farming. These farmers have found that many of the strategies to mitigate risks and increase resiliency to extreme weather align with their practices for sustainable and organic agriculture. These practices and techniques include managing healthy soils, diversifying crops for different markets, and building human and social capital, all of which are the basis for sustainable farm businesses. 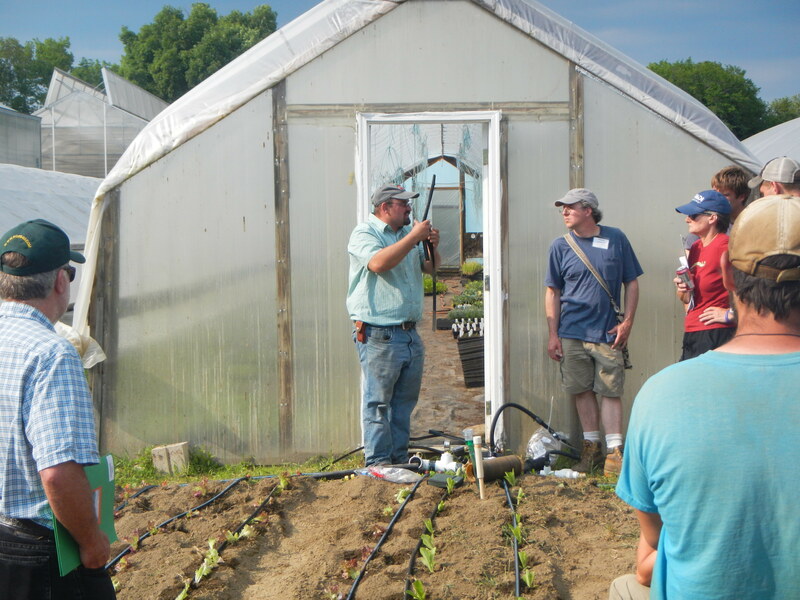 While extreme and erratic weather and inexorable climate change will never be in farmers’ complete control, the Intervale farmers in Burlington, Vermont are relying on core concepts of sustainable agriculture to deal with an uncertain future. As a last resort, some farms also consider and potentially make the decision to find new land and move their production to higher ground. Delving into when and how some farmers decide to make this big move will be covered in a future blog piece.